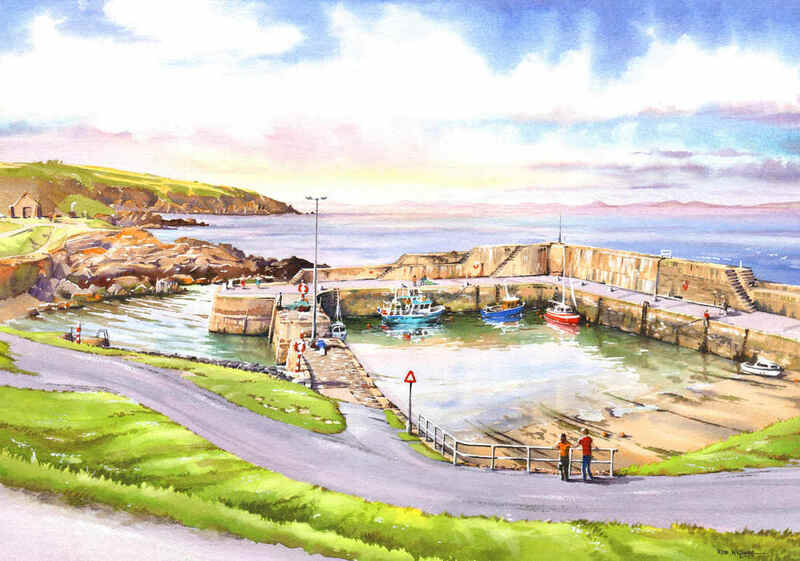 'Portsoy's New Harbour View', watercolour, 72 x 50 cm. A view of the New Harbour (it's only 200 years old but the name stuck!) near to low tide. This is the harbour in the distance in 'Sunshine in Portsoy', and the view is to the west, along the coast towards Cullen. The original is sold by commission.